An ex-professional footballer will open a Wild West-themed fete open to all at Hellesdon Hospital on Saturday, July 14. 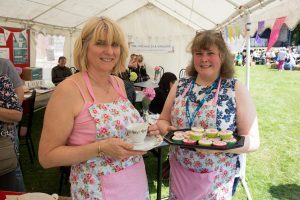 Staff and service users from Norfolk and Suffolk NHS Foundation Trust (NSFT) are making the final preparations for the fun-packed fundraising spectacular. It will be opened at 11am by former professional footballer Cedric Anselin, who has opened up about his own experiences with mental health. The day will also feature a large arts marquee offering interactive art activities for all ages and a bucking Bronco, complete with a leader board to encourage friendly competition. Fun runs will take place to mark 70 years of the NHS, while craft stalls and traditional fete games will also be on offer. In addition, visitors will be given the chance to pan for fool’s gold, enjoy a range of food and refreshments and watch live performances from Opening Night Ensemble and Mind The Gap. There will also be a host of top raffle prizes available, including a £200 Intu voucher, £150 John Lewis voucher, days out and hampers. The day has been organised by NSFT staff who are passionate about raising money towards the £25,000 cost of a much-needed multi-use games area for Hellesdon Hospital. The versatile outside space will give service users and staff the opportunity to enjoy a range of activities and sports, including basketball, tennis, football and netball, in turn helping to boost both physical and mental wellbeing. 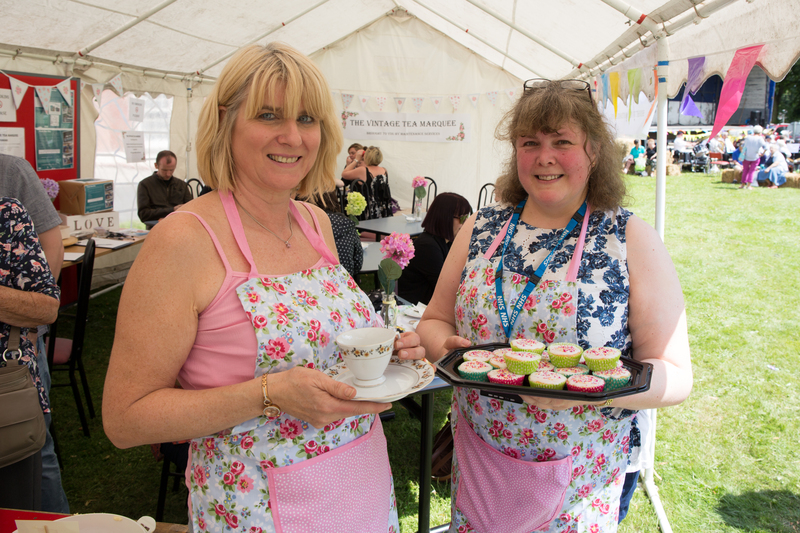 Matron Heidi McKay, who has helped to plan the event, said: “This fantastic fun day really promises something for all the family, including interactive art activities, live music, fun and games with a Wild West theme. “It will also give us the chance to explain more about our work the range of services our Trust provides every day to thousands of people of all ages across Norfolk and Suffolk. The fun day runs from 11am to 4pm and is open to everyone. Parking is free and dogs on leads are welcome. Anyone who is unable to come to the event but would still like to donate to the appeal can send a cheque payable to Norfolk and Suffolk NHS Foundation Trust to Charitable Fund Officer (Finance), Norfolk and Suffolk NHS Foundation Trust, Hellesdon Hospital, Drayton High Road, Norwich, NR6 5BE. A scene from last year’s fete. This entry was posted in Hellesdon, Home Page and tagged Cedric Anselin, Hellesdon Hospital, Norfolk and Suffolk NHS Foundation Trust, NSFT on July 6, 2018 by Gay Webster.